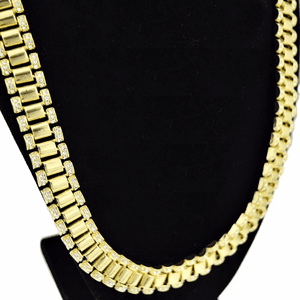 Get your bling on with jaw-dropping thirty inch iced-out hip hop chain necklace for men. 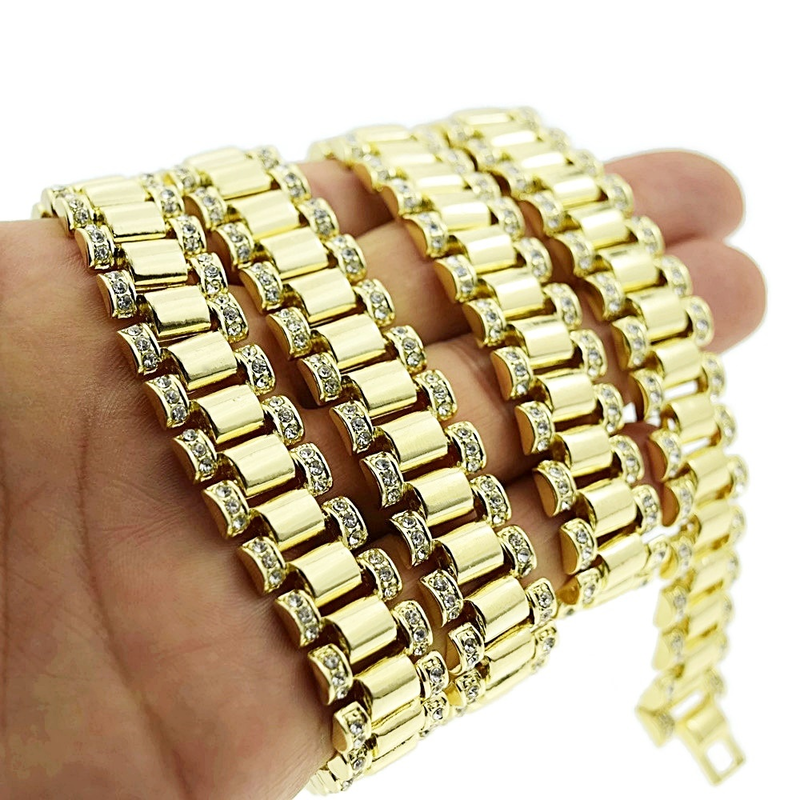 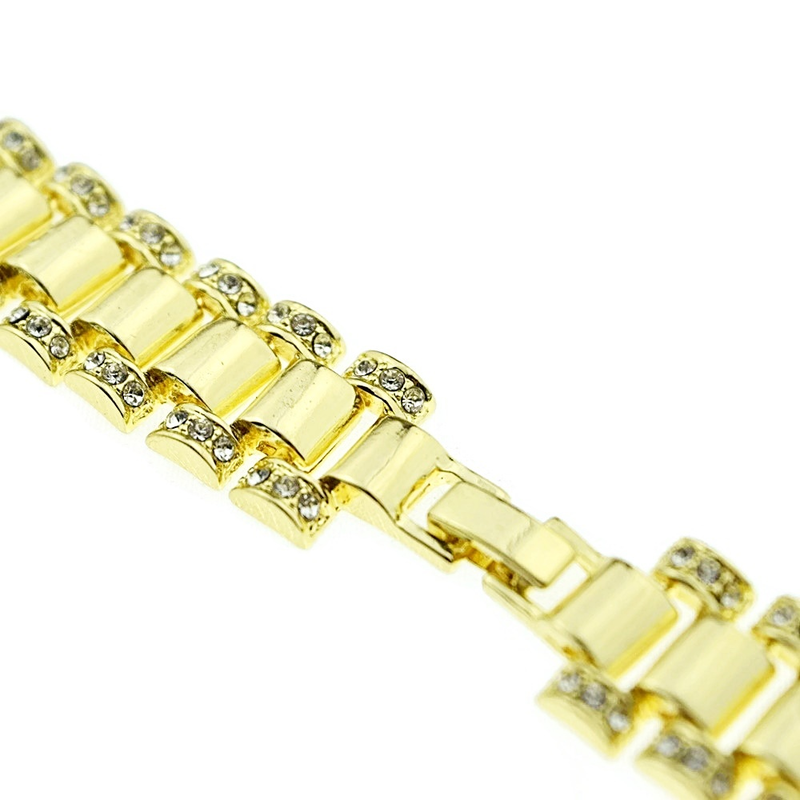 Stunning watchband style link chain is made with high quality base metal. Finished in a beautiful gold tone and iced-out links that shine bright. 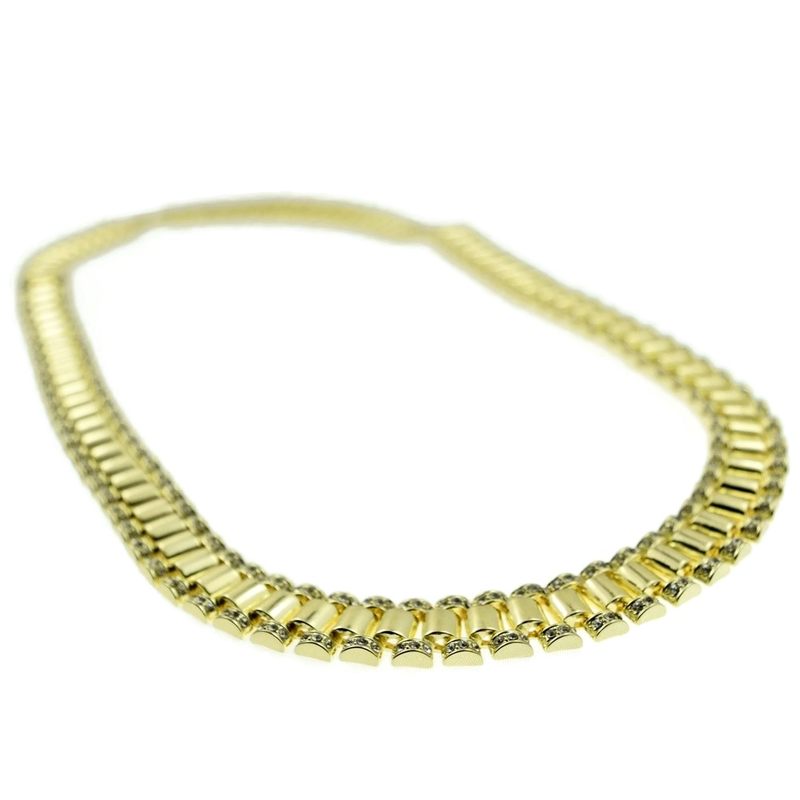 Hip hop chain necklace measures 30" long and is 15 mm wide, weighs 180 grams, stylish box clasp closure.